It’s Tuesday, and that means I’m sharing some kind of tip…usually a teaching one… I think. That’s the plan for today. We’ll see how it goes. Today, I’m sharing tips on how to write a successful grant. If you are a teacher, you know that there are opportunities throughout the year to apply for grants. There is an email about a funding opportunity in my inbox at this very moment. Don’t leave that money on the table! (If you aren’t a teacher, you might still find some of these tips helpful). 1. Decide what you want. Try to convey it in way that is interesting, has potential to engage students, and will enhance learning. Catchy titles help, but you must have more than that to get a proposal funded. After you decide what you want to do, think of every subject area that is involved. Consider writing a lesson plan that includes the materials you need. Do you see some other uses for these same materials? Are any of the items reusable? Include this information in your proposal! 2. Guidelines and deadlines matter. Don’t get eliminated before you even get started! Order of information and length of proposal are often specified. Read the information carefully. If the funder asks for five signed copies, don’t send three. Be sure you meet the mailing deadlines. I’m a last-minute writer, but I have to allow time for the post office to make its mark, too. 4. Go the extra mile. Include research about your topic. Include pertinent data about your school and test scores. Include your voice so that the reader can relate to your situation. Be very specific when writing the budget. This is not the time to estimate. 5. Proofread. Check and double-check your final entry. Ask a colleague or other expert to read your proposal. Spelling and/or typographical errors can leave doubt in a reader’s mind regarding your expertise. Following these tips will help you receive funding for many projects. I have been able to buy art supplies, fund field trips, purchase Kindles, cameras, center materials, plants and gardening materials, and many other items with money from grant sources. Do I get every grant I apply for? No. But, I have learned something that makes me smile and try again. Not getting a grant does not mean your proposal is not good. Sometimes the funder runs out of money. Maybe they just don’t like what you are asking for. I have submitted the same grant with just a few minor changes to title or budget and received them from a different source. Keep that in mind. Keep copies of what you submit in an electronic file or hard copy folder. Feel free to ask me any questions you have about grant writing, and I’ll try to help! 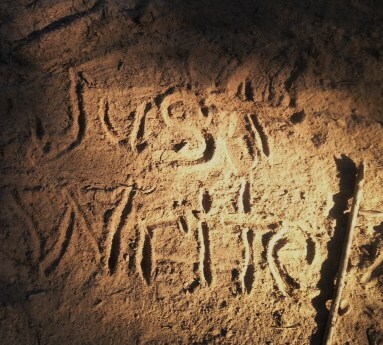 Remember…you can’t get it funded if you don’t write it! Good luck! Categories: Grant Writing, Teaching, Writing | Tags: Grant writing | Permalink.